The restaurant overlooks the sea and it’s dedicated to the excellent cuisine and the delicious dishes that we reserve to our guests at Hotel Villa Bianca. For breakfast, we offer a rich buffet full of croissants and home- made cakes prepared by our excellent chef in the hotel. 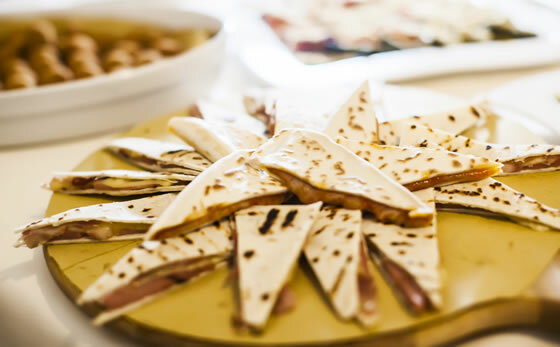 For lunch and dinner the menus are mainly based on traditional dishes, regional and international ones too; the typical flavors of Romagna meet the tastes of the beautiful country (Italy) and of the world. The rich buffets of appetizers and vegetables give you the possibility to choose between the different meat, fish and vegetarian menus which complete the refined taste we offer you. Our staff in the dining room and the kitchen welcomes your request of particular and specific menus for your kids and specially done for vegetarians or celiac people; the products are gluten free, so be quiet and eat whatever you wish. Every week the restaurant offers its guests a thematic evening: the Marinara evening which is dedicated to the sea perfumes, its crafts and tastes; the Romagnola evening which is full of the typical products of our territory and last but not least, the gala evening dedicated to the most glamorous evenings of the year.